If you want to provide some feedback and/or raise a complaint (also known as a 'grievance'), please contract LTWP using the contact details provided below so that we can address the matter. A grievance is typically a complaint about something that you believe to be wrong or unfair. By submitting a grievance, you can express your concern or dissatisfaction if you believe that LTWP (or its contractors) has treated you (or anyone else) unfairly or unjustly. 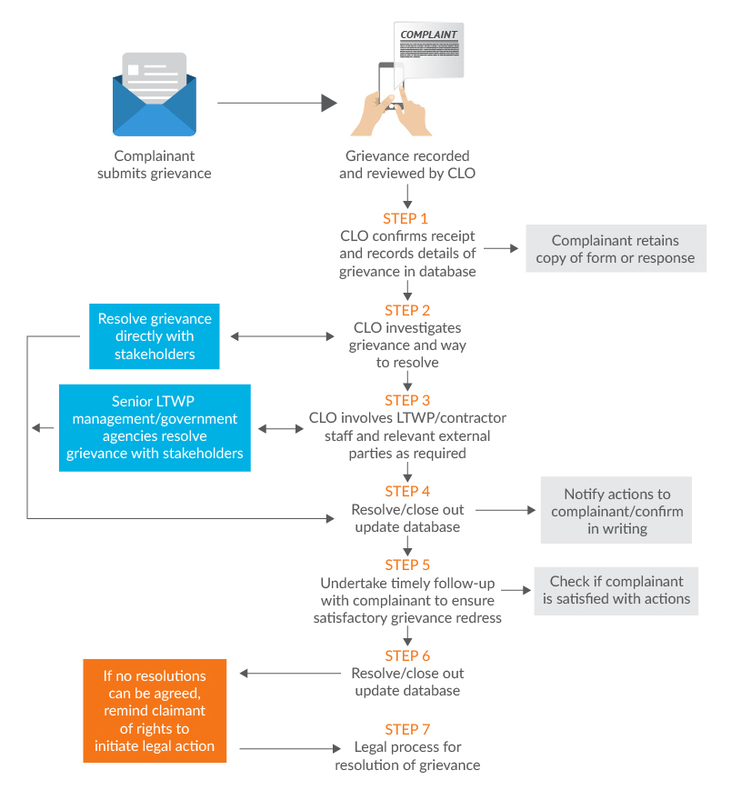 What is the “grievance mechanism”? LTWP is committed to open dialogue and building trustful and lasting relationships with communities along the Laisamis to site access road and in and around the LTWP wind farm site area. With this in mind, LTWP has established a so-called “Grievance Mechanism”, which is an efficient and quick process to receive complaints or expressions of concern from interested or affected stakeholders. LTWP has a dedicated community liaison team which is committed to responding promptly and providing relevant solutions. LTWP wants to settle issues amicably. However, if this is not possible, you have the right to contact relevant authorities in your country to start legal action at any time. Anyone who has a grievance to raise, whether individuals, groups or companies, can submit a grievance to LTWP directly. Below you will find different channels through which you can submit grievances to LTWP. Different ways of submitting a grievance have been established because LTWP knows that different communities and people may prefer different channels for communicating. The flowchart below depicts LTWP’s grievance mechanism. LTWP will keep all details of your grievance strictly confidential. Email: Download Grievance Form, complete and send to LTWP by email. Post: Download Grievance Form, print, complete, and send to LTWP by mail, by post to the postal address at the bottom of this page or deliver by hand. Telephone:Call LTWP and speak about your concern to one of our representatives (or leave a message on the answering machine). Please make sure to give us all your contact details, so that we can get back to you. Postal address: Lake Turkana Wind Power Ltd; P.O Box 2114-00502; Karen.